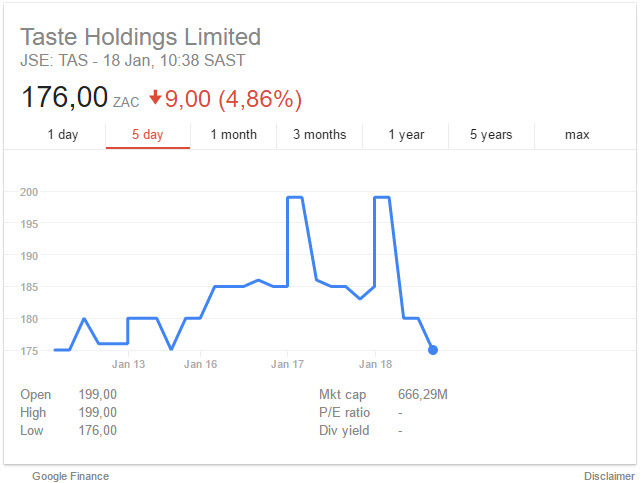 The JSE seems to be doing quite lekker so far into 2017, I just hope this sticks since I already saw some bad news with Tencent which means Naspers is bound to take a dive and that will mean most of our ETFs will take a knock, my poor Satrix Indi is beaten down. Same boat it was a good ride since 2011, but the last two years made me think long and hard about this ETF. With what are you going to replace it or are you going to use the funds to add to your existing stocks/Etfs? Currently my TFSA is split into equal thirds (well initially) of DIVTRX, DBXWD and STXIND. My R30k this year I'll probably split 50/50 between DIVTRX and GLPROP (if available, else PTXTEN). STXIND and DBXWD are tough decisions since they're more focused on growth. I might just sell off both of them and push those funds into the other two to be only left with DIVTRX and PTXTEN and have my TFSA geared for income and some growth. On the other hand, since I'm still young growth ETFs might make more sense in which case there is NFEMOM for local and DBXWD (and the SP500 one). So all in all I don't really know. What I can tell you is that I much prefer NFEMOM over STXIND. Completely different ETF but that is kinda the point. That makes sense. I am going to swap out my PTXTEN for GLPROP since I have CTOP50 which has some of the PTXTEN stocks. Then I am going to sell my STXIND and get either DIVTRX or NFEMOM, I am leaning towards NFEMOM. My focus at the moment is Capital Growth because I am quite young myself and I just feel 60K in a capital growth strategy for the next 5 - 8 years will be better because then I will have a much larger sum to invest in DIVTRX and the likes to shift over to an income portfolio at least that is what I think? R1 million invested in DIVTRX should provide you with some money to live off compared to R60k and that R60k would grow more in the 5 - 8 years in a capital growth focused ETF than in DVTRX I assume? Well I guess you will need far more than one million invested if you want to draw an income from DIVTRX since R1 million today equal about 34000 shares and they pay about 23 cents per share every quarter so you will get less than R9000 per quarter. Something like that. PREFTX gives better dividends, but buy the time you retire with your millions of dollahs it'll probably be a good idea to go speak to a financial advisor wrt the best income strategy. If your math is correct you'll be better off putting that R1mil in a 32 day account and get R70,000 pa in interest. That is what I was thinking, I often hear people say they are investing for income, but in practice that does not seem very viable on the stock market I mean you will need a few bar and then you will barely get back R10k per month if you are lucky in which case their are other investments that I would do if I have a few bar sitting around I would buy physical apartments and rent them out that rent should beat the DIVTRX. I actually hope here is someone with some time on their hands that can work out what it would take to create an income portfolio and what the alternatives is. What it takes; Investing for income. In previous updates I have touched on the reasons for not investing in US or UK stocks yet. At the moment I am waiting to receive funds from the sale of a small hotel stock, but more on that later. My patience in not taking capital out of my home country has thus far been rewarded in that the local currency has been strengthening against the pound and dollar over the last few months and is over 25% stronger than the low point. Having said that, I do believe that when I have some fresh capital, now would be a good a time as any to invest into stronger currencies. I am hoping this will be fairly soon. 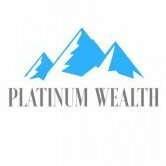 I do have dividend income in South Africa, which I currently use to cover part of my living expenses and which I have chosen not to disclose. Fair enough. DIVTRX and PTXTEN does grow and seeing cash magically appear in your account every now and again is kinda awesome so there! I saw this tweet just now might be of relevance. This note provides a summary of the equity raised in the sector since 2010 and the performance of listed property, equities, bonds and cash over different time periods. It explores correlations amongst these asset classes and the correlation amongst the constituents of the J253 index. It also provides an illustration of the benefit of including listed property in a balanced portfolio. I have been watching curro and capitec for some time now and thought would it be better to buy PSGGroup for the long term than to buy the two shares risk wise? I might be wrong but to me PSGGroup feels like a good "basket" buy since you get the underlying performance of all their investments including capitec and curro correct? So my thinking was, maybe Capitec wont be this good for the next 15 years, but PSGGroup for the next 15 years should be able to innovate and built new businesses over the time? Or am I being silly here. Woolworths Clothing and General Merchandise sales increased by 3.5%. Price movement was 7.3%. Sales in comparable stores grew by 1.2% and retail space grew by a net 2.9%. grew by 5.6% and retail space grew by a net 7.9%. than the prior year, in Australian dollar terms. Retail space grew by a net 3.4%. 5.9% (six months ended 31 December 2015: 4.8%). reported upon by the Group’s external auditors. announced on the Stock Exchange News Service on or about 16 February 2017. Date: 12/01/2017 07:05:00 Produced by the JSE SENS Department. The SENS service is an information dissemination service administered by the JSE Limited (‘JSE’). 66.8.16.130 is the JSE Sens server if I am not mistaken? trade.imara.co is that sharenet's data? I really hope the dbxJP picks up today. I see Japan industrial production is up 4.4% the strongest since 2014. 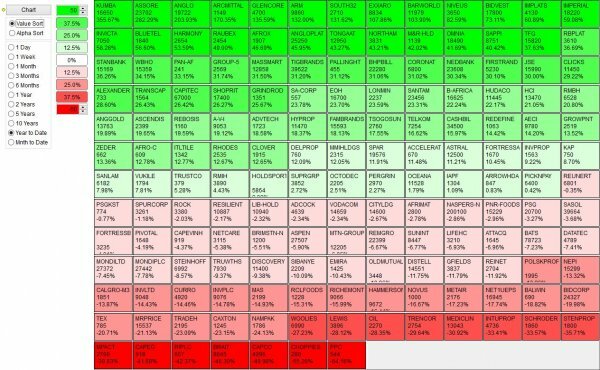 All the sectors are up. TASTE doing all these funny maneuvers going 6% up then down. I wonder if there are CDF guys going all ape works with leverage on this stock? I guess, bigger problem I have now is I guess if taste goes to R3 I hope there are buying in the market because I have a lot of money on taste.